nothing i love more than holding second buffing up a roamer again and again. Which Quake game is the best and why? tf2 is one of the few comp games where if i die, i always feel like i deserved to. This game will never die. I've been trying out Quake III Arena, and the lack of airstrafing is really throwing me off and the Rocket Launcher has such a small blast radius, but I'm getting used to them. I like the simplicity of the game design though. Also, the Railgun can be difficult to deal with without airstrafing and a safe respawn point. How is Quake Live better than the others for tactical duels, and how does CPMA have the highest skill ceiling other than having air control and bunnyhopping? I like TF2 and CS:GO for their emphasis on a clean visual style (in recent years especially for CS:GO but sadly not so much for TF2). 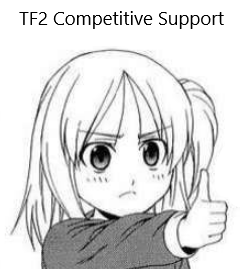 TF2 is about "the right tool at the right time for the right situation" style of combat with its many classes, while CS:GO is about all the little things to consider, every little angle. I think the success and longevity of these two games speak for themselves.